Please Help! 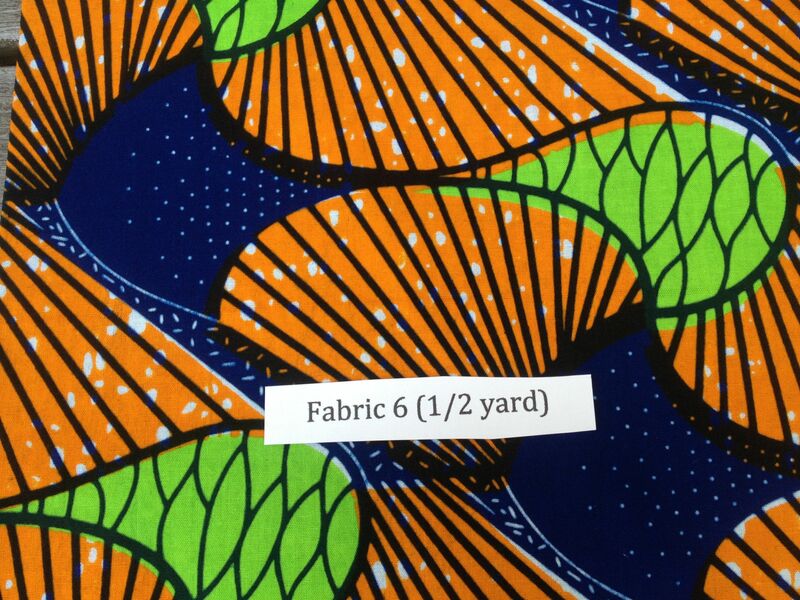 With picking pattern for fabrics from Ghana! Thread: Please Help! 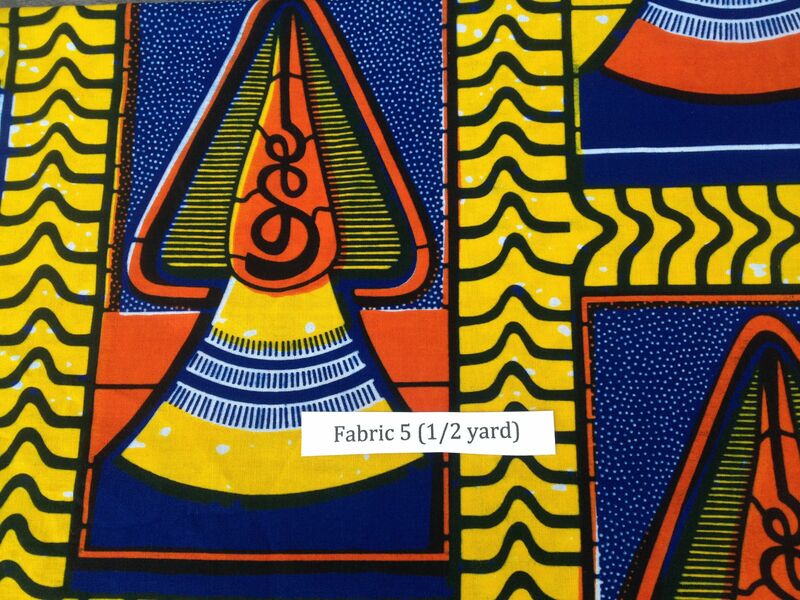 With picking pattern for fabrics from Ghana! 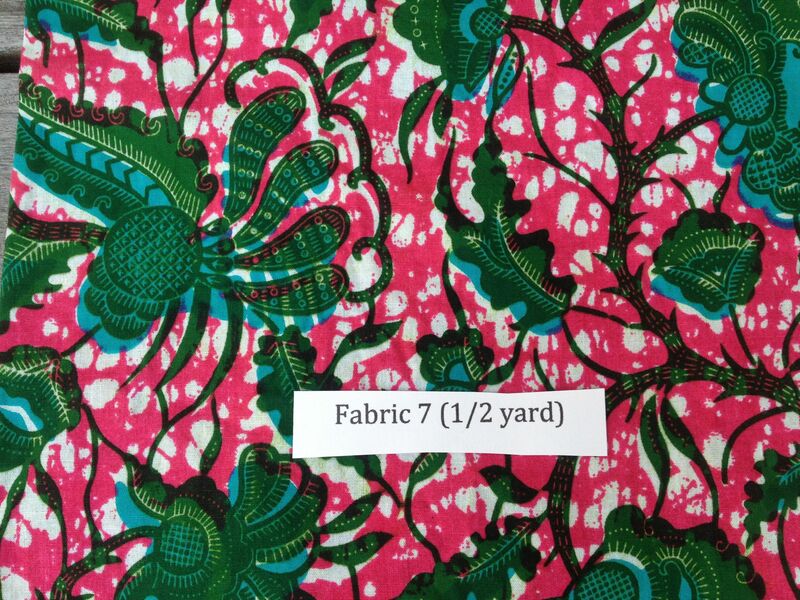 Please help me figure out what pattern to use for fabrics that my niece brought back from Ghana. I want to use all fabrics (if possible) in a lap quilt as a gift to her. There are seven different fabrics. 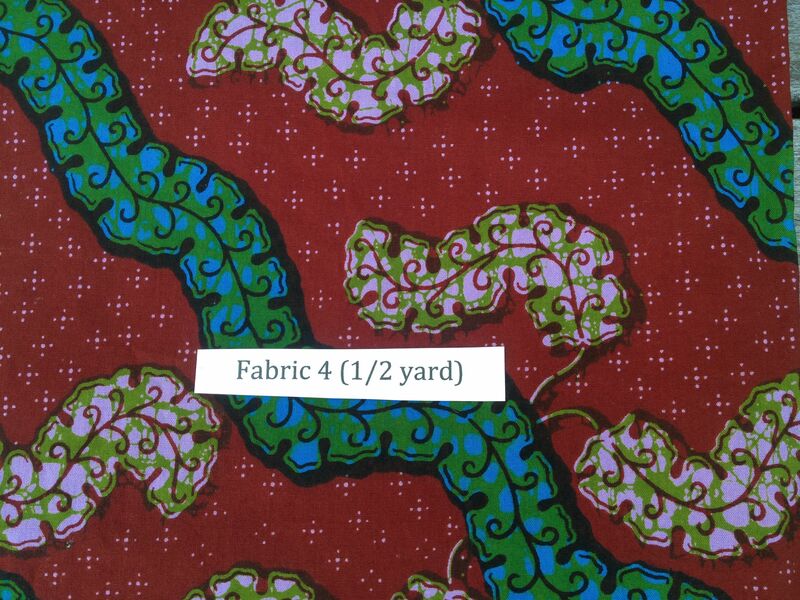 Fabric #1 is one yard long and she designed and printed it while she was in Ghana. 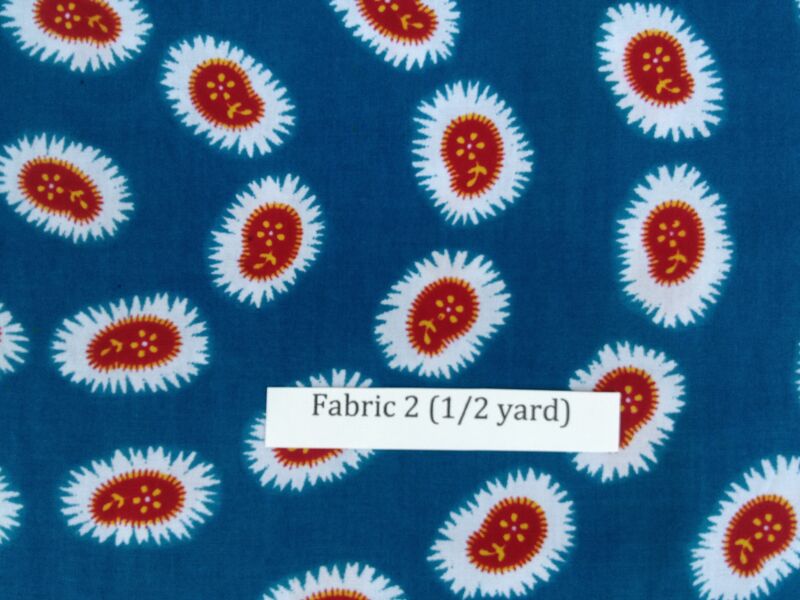 Fabric #2-7 are 1/2 yard each. I really appreciate any suggestions or ideas you have. I have no idea what pattern to use, but I would use the same solid in each block (like white or black) tie the overall quilt together. You might be able to do something like this. It would show off the gorgeous fabric. Hmm, they really don't appear to go together. 5 and 6 are very large scale prints and don't really seem to go with the others but would make a very nice quilt as focus fabric on their own with some solids in orange, lime green, yellow and that deep purple. I'm not sure they would work at all with the others in any way. 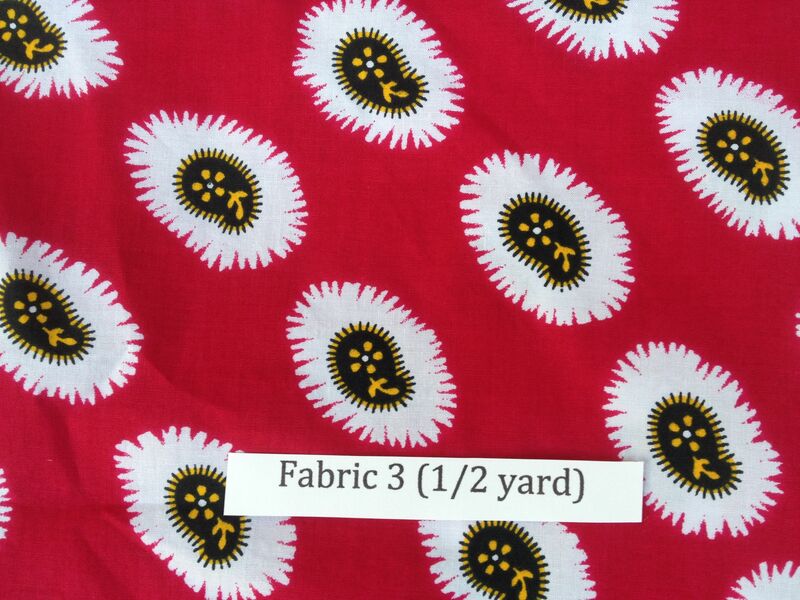 The fabric your niece designed seems to go with #7 and maybe #4 but not so sure 7 and 4 play nicely together. It is hard to tell without being able to put the fabrics next to one another. I am thinking you need some sort of solid to unify them. Black maybe?? 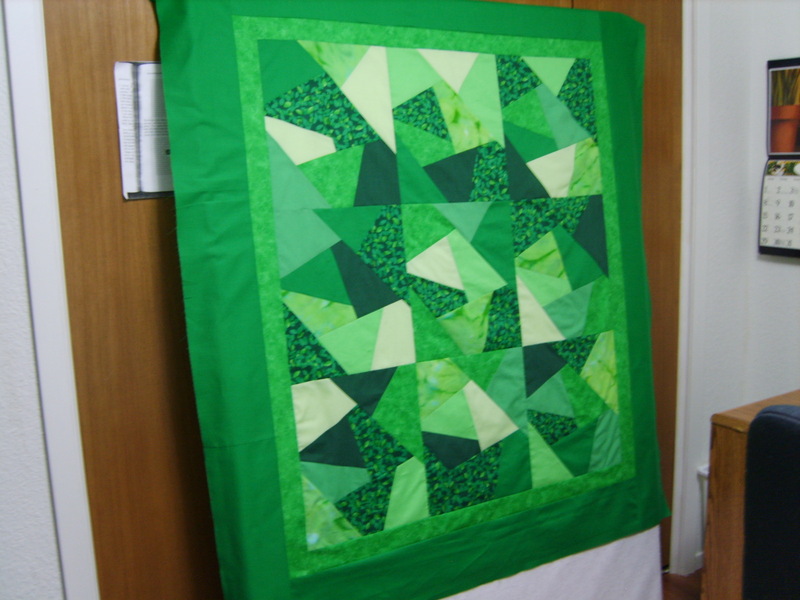 Rather than making a quilt, you may be better off making a couple of sets of placemats and a table runner with the fabrics that play nicest together and keep the others for your stash. Love the place matt Idea!!!! No help whatsoever but the fabrics are beautiful! 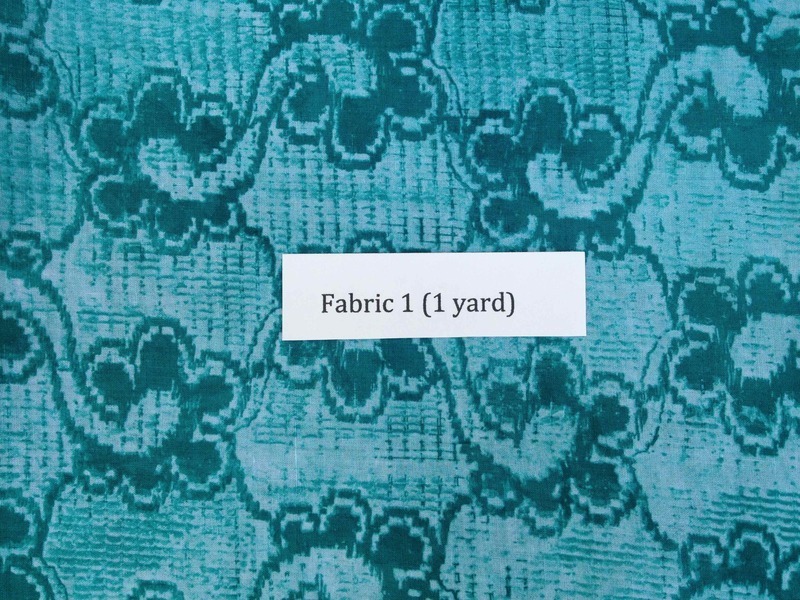 I think I would use the first turquoise fabric with the last bubble gum pink and turquoise fabric. I would maybe add white and the same bubble gum pink from the last fabric and see if MSQC had a pattern that would work with 4 fabrics. I would save the other fabrics for other projects. I have no idea sorry, but the fabric is beautiful! Those fabrics are just gorgeous and the pattern that cherisews suggested would be perfect. beautiful fabric. You might want to try the disappearing 4 or 9 patch. Jenny Doan has tutorial on both. I had this same problem---my daughter brought home fabrics from Peru and I made a snowball quilt using a neutral color for the corners which tied them all together but still showed off the fabrics. good luck! The fabric I had was a loose weave and I had to use a light weight interfacing to keep it from fraying before I cut it out. They are all lovely but I am not sure that you want to use them all in the same quilt. The puzzle pattern seems an ideal solution for what has to be some of the most gorgeous fabric I've seen in many a moon. Personally I'd like to see the fabrics separated by sashing so each one pops on its own. The place mat idea is always a great idea when faced with a decision like you have. How about doing place mats with napkins pieced to match the mats? I like cherisews idea of the Robert Kaufman pattern. I would use white (Snow) solid. The fabrics are lovely. Either of those patterns mentioned would work just fine. I too agree with black for the sashing, but be sure to test it for fading. I purchased a black for an amish design and it faded so bad that it now appears to be a deep brown. It was from a quilt store and very expensive. It is such a wonderful thought for you to do this for her. Even though my usual palette is 30's or civil war, I just love #5. Makes me think of the Gees Bend quilts. Good luck. Wow, printing her own fabric, no wonder she wants to have something special made. 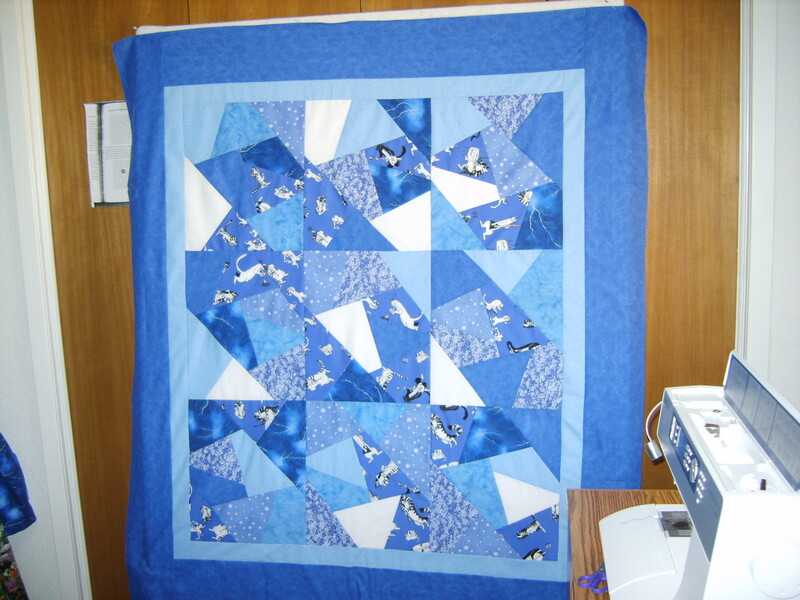 I like the Missouri Star Quilt's window paned disappearing 9 patch, simple and would show case all the bright colors. I made one using this method with African prints (my blocks sizes and setting were my own but same principle) and they turn out just great. The black will really set it off. I love your collection and the one she designed. My daughter just returned from Ghana, she & her DH had served there in the Peace Corp. They have been back a couple of times, this time they took my grandson with them. She has brought me fabric before, she bought much more for both of us this trip. I found a website www.culturedexpressions.com. It is very African, has patterns, culture info, and is beautifully illustrated. I sent for 2 books, one by mail, one digital. The paper magazine contained 3 beautiful batik charms. It's well worth looking at. It is also called Cultured Expressions, Inc.
Cherisews is right both of those patterns would work great and show case her special fabrics as well.